We ALL need your Mom. And you! 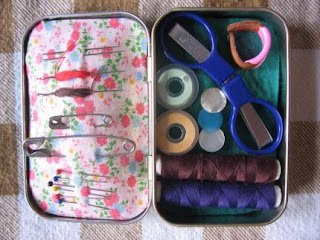 I love this blog - just found it - but alas, as a new breed of housewife you MUST know that tatting is "knot" a lost art! There are many of us who still do handcrafts, including tatting - just search the internet! :) Other than that, I find your resourcefulness and creativity refreshing and will look forward to reading more of your posts in the future! Congrats on a wonderful event! @Sara- But mostly my mom, right? I act all self-sufficient, but I rarely make a move without consulting my advisor (aka Mom). Hence, the telephone bills. @Emily- So glad you found me! And I stand corrected about the tatting. I'm super impressed, and would love to see how it's done. (Although I would probably inadvertently tat a lace rendering of Jerry Orbach while watching Law & Order reruns). And the only thing my husband knits is his brow when I come home with yet another craft project (rimshot!). Also, Emily- I forgot to say: "'knot' a lost art" made me a little light-headed (in a good way). That's my kind of punning. You are obviously a woman after my own heart. Yes need her desperately. Channeling her now!!! Toupee tape. Brilliant idea! I'm running off to find some to keep in my emergency kit! How do those metal Altoids boxes travel on a plane these days? Great ideas, love you site!